“National Law University was a necessity for Jabalpur to provide better legal education and ensuring justice for all…Laying the foundation stone of Dharmashastra National Law University is a rekindling of legal education” remarked the Hon’ble Chief Justice of India Justice Dipak Misra. The 22nd National Law University in India is the Dharmashastra National Law University in Jabalpur, Madhya Pradesh whose foundation stone was laid down on 30th June 2018 by the Hon’ble Chief Justice of India Justice Dipak Misra, the Union Minister for Law and Justice Ravi Shankar Prasad, the Hon’ble Chief Minister of Madhya Pradesh Shivraj Singh Chauhan among others. 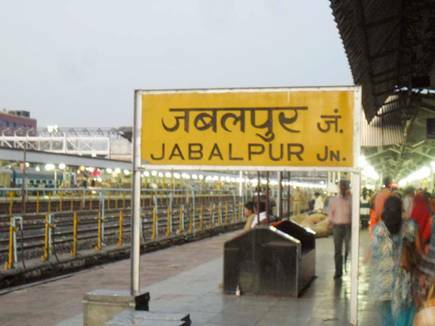 The Union Minister remarked that Jabalpur has emerged as ‘Nyayadhani’ to prepare architects of legal structure of the country while giving credit to the Madhya Pradesh Chief Minister for the establishment of the university. He assured to provide all necessary assistance for desired development of the university. The MP Chief Minister declared for a separate branch in the University for providing legal knowledge to public representatives, bureaucrats and employees of Government departments for better decision-making. The National Law University is established under the “MP State Act Ordinance 2018” and with its establishment the state of Madhya Pradesh would be the second after the state Maharashtra to have more than one NLU in the state. The National Law University will begin academic session from this year and the admissions will be based upon the candidates score in CLAT 2018 which makes this NLU the latest inductee into the CLAT. The University will offer B.A.LL.B and LL.M Courses with an intake of 120 and 20 students respectively. The University has a boys and girls hostel with air conditioning in the latter. As for now, the University will operate from the campus of Bharat Ratna Bhim Rao Ambedkar Institute of Telecom Training at Jabalpur. 50% of the total seats will be reserved for the residents of Madhya Pradesh. Prof Balraj Chouhan has been appointed the Vice-Chancellor of the NLU. Professor Chauhan has the experience as the Vice-Chancellor of RMLNLU Lucknow, NLIU Bhopal and the Director of School of Law in Amity University, Lucknow. Other National Law Universities are underway in Jammu and Kashmir, Sikkim and Uttarakhand. NLU Uttarakhand can be expected till September 2018 owing to the Uttarakhand High Court directive in June 2018 to establish an NLU within 3 months in the state .